Sky Digital: New SR for Discovery HD UK on 12188.00MHz, pol.H: SR:27500 ( FEC:2/3 SID:3622 PID:516[MPEG-4] /644 nar,664 English - VideoGuard). Sky Digital: New frequency for Discovery HD UK: 12188.00MHz, pol.H (DVB-S2 SR:29500 FEC:8/9 SID:3622 PID:516[MPEG-4] /644 nar,664 English- VideoGuard). Sky Digital: New frequency for Discovery HD UK: 12344.00MHz, pol.H (DVB-S2 SR:29500 FEC:8/9 SID:3622 PID:516[MPEG-4] /644 nar,664 English- VideoGuard). Sky Digital: Discovery HD UK has left 12363.00MHz, pol.V (DVB-S2 SID:3916 PID:515[MPEG-4] /643 nar,663 English), it is no longer transmitted by satellite in Europe. Sky Digital: New frequency for Discovery HD UK: 12363.00MHz, pol.V (DVB-S2 SR:29500 FEC:3/4 SID:3916 PID:515[MPEG-4] /643 nar,663 English- VideoGuard). Discovery HD UK switched to Hot Bird 13C satellite at 11449.00MHz, pol.H (DVB-S2 , 11449.00MHz, pol.H SR:27500 FEC:2/3 PID:529[MPEG-4] /729 English Polish). Discovery HD UK switched to Thor 5 satellite at 11434.00MHz, pol.V (DVB-S2 , 11434.00MHz, pol.V SR:25000 FEC:2/3 PID:513[MPEG-4] /645 Sweden). Sky Digital: New SR for Discovery HD UK on 12324.00MHz, pol.V: SR:29500 ( FEC:3/4 SID:3803 PID:514 [MPEG-4]/642 English,682 English - VideoGuard). A new channel has started in DVB-S Clear: Discovery HD UK (United Kingdom) on 11966.00MHz, pol.H SR:12500 FEC:5/6 SID:505 PID:516/690 English. Canal Digital Nordic: Discovery HD UK is now encrypted in Conax (11434.00MHz, pol.V SR:25000 FEC:2/3 SID:3804 PID:513/645 English). Canal Digital Nordic: Discovery HD UK is now encrypted in Conax (12380.00MHz, pol.V SR:25000 FEC:2/3 SID:3804 PID:513/645 English). Discovery HD UK is now encrypted in PowerVu (11591.00MHz, pol.V SR:30000 FEC:7/8 SID:205 PID:2110/2170 English,2171 Polish). 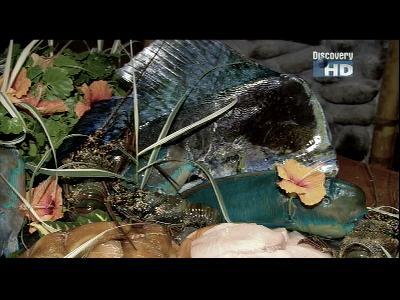 Discovery HD UK (United Kingdom) broadcasts in DVB-S Clear on 11591.00MHz, pol.V SR:30000 FEC:7/8 SID:205 PID:2110/2170 English,2171 Polish. Canal Digital Nordic: A new channel has started in DVB-S2 Clear: Discovery HD UK (United Kingdom) on 12380.00MHz, pol.V SR:25000 FEC:2/3 SID:3804 PID:513/645 English. Canal Digital Nordic: A new channel has started in DVB-S2 Clear: Discovery HD UK (United Kingdom) on 11434.00MHz, pol.V SR:25000 FEC:2/3 SID:3804 PID:513/645 English. New SID for Discovery HD UK on 11591.00MHz, pol.V FEC:7/8 SR:30000: SID:208 ( PID:810/870 English,871 English - PowerVu). Discovery HD UK is testing in DVB-S2 Conax on 11449.00MHz, pol.H SR:27500 FEC:2/3 SID:15032 PID:529/729 English Polish. Discovery HD UK is now encrypted in PowerVu (11591.00MHz, pol.V SR:30000 FEC:7/8 SID:205 PID:710/770 English,771 English). Discovery HD UK is testing in DVB-S Clear on 11591.00MHz, pol.V SR:30000 FEC:7/8 SID:205 PID:710/770 English,771 English. A new channel has started in DVB-S PowerVu: Discovery HD UK (United Kingdom) on 11591.00MHz, pol.V SR:30000 FEC:7/8 SID:205 PID:710/770 English,771 English.